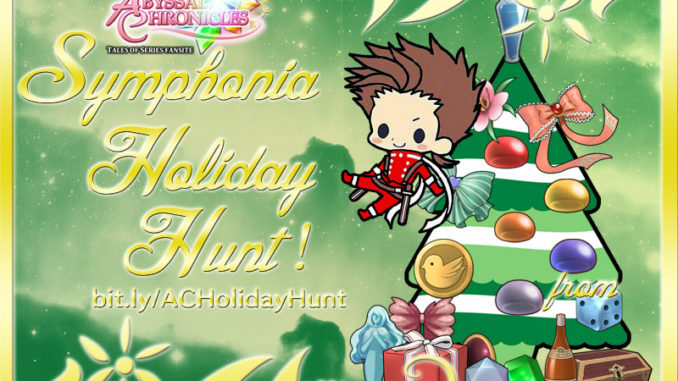 HomeAbyssal ChroniclesAC's Symphonia Holiday Hunt Winners! Congratulations! 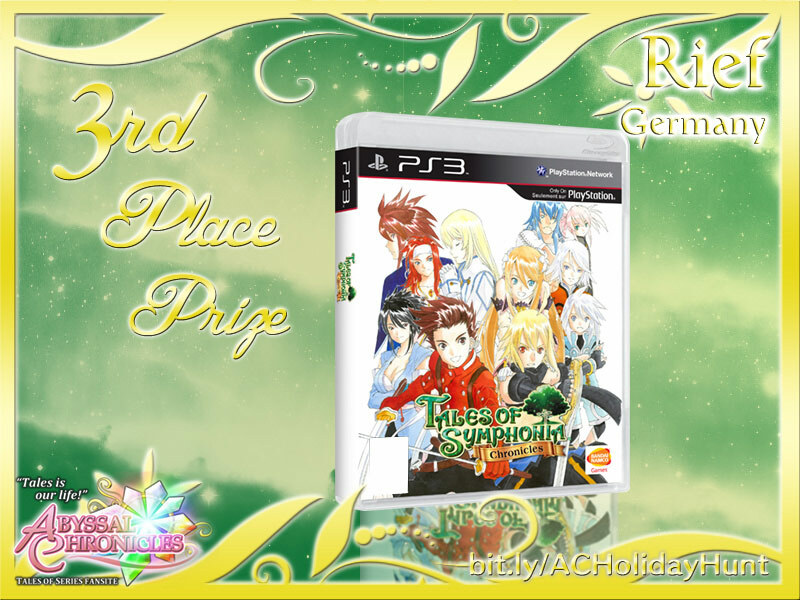 AC's Symphonia Holiday Hunt Winners! Congratulations! Dimentionalist from the United States of America! Congratulations! Congrats guys! 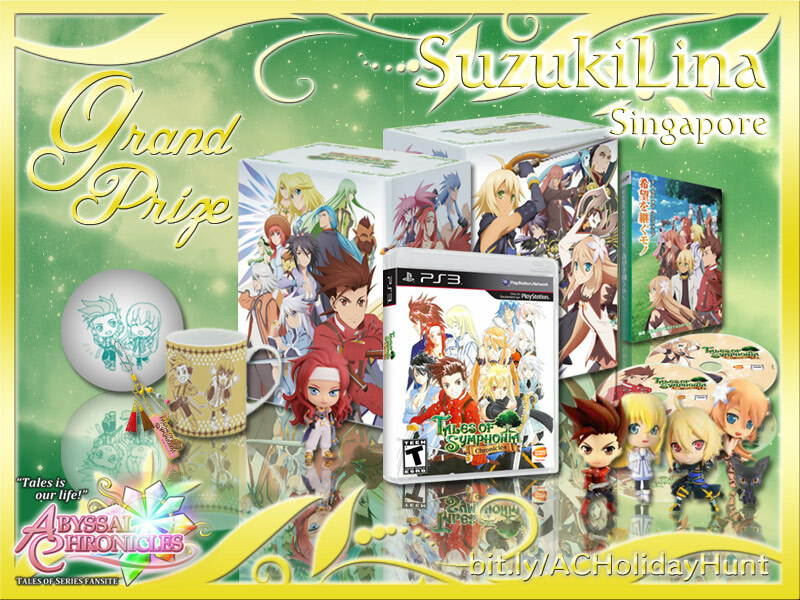 You will receive an e-mail from us about your win in a few moments. 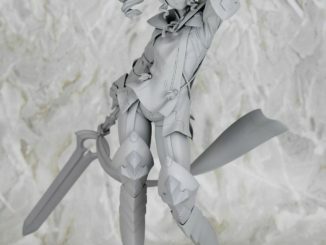 We'll also need your shipping details and such. 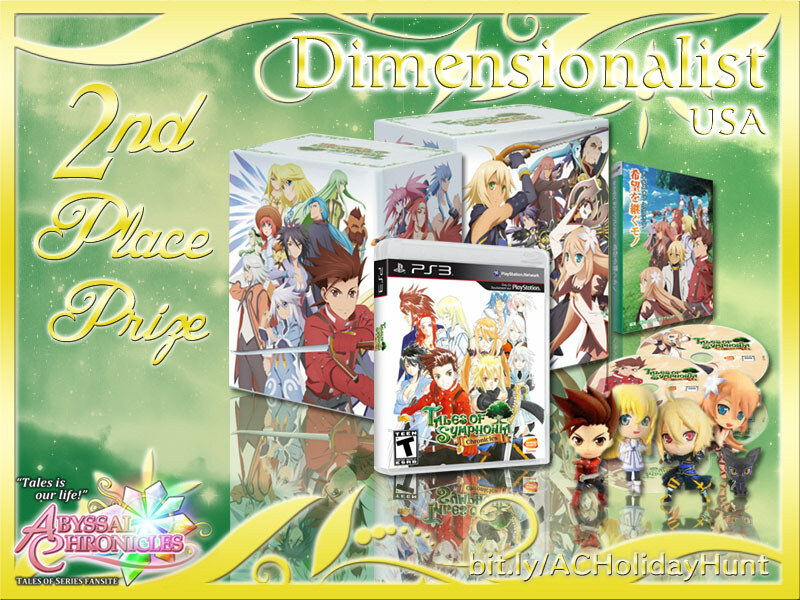 Thank you so much to all of those who entered, and once again congratulations to the winners! 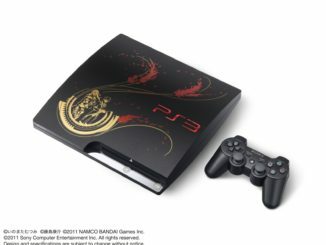 Thanks again to Namco Bandai Games for providing one of the Collector's Editions! And again, these contests we hold are made possible thanks to the earnings we get from those of you who use our affiliate links to buy stuff from various game shops (i.e. 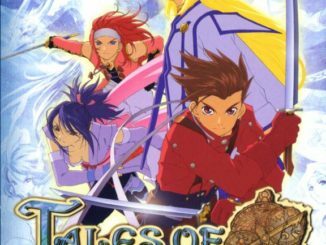 Amazon, Play-Asia, CDJapan, YesAsia) as well as donations.